Wildlife Queensland continues to be amazed at the so-called benefits for the community the LNP Government in its wisdom continues to introduce at the expense of the environment and its wildlife. Another potential threat to our environment has been unleashed by the LNP Government. Lifting the 20-year moratorium on shale oil mining imposed in 2008 by the then Labor Government – and encouraging the Shale Oil industry develop – poses a significant risk to the environment. This initiative is being implemented in the name of creating thousands of new jobs in the construction phase, and providing royalties and other economic benefits for regional communities and the broader community. The cost to ensure the environmental harm is minimised and negative impacts arising from this industry has not been adequately considered. Granted, the moratorium on the McFarlane deposits near Proserpine, North Queensland remains; but the Queensland Energy resources trial plant at Gladstone can move into full commercial operation. Shale Oil industry is not to be confused with Shale Gas industry which is entirely different. Shale oil is produced by a range of processes that may include pyrolysis, hydrogenation or thermal dissolution. The organic material kerogen, a mixture of organic chemical compounds, in the shale rock is converted into synthetic oil and gas by various processes. The source rock is usually mined, crushed and transported to a processing facility although some experimental technologies actually perform the process in situ. On the other hand Shale gas is a natural gas formed as a result of being trapped within shale formations. It is extracted by drilling and the use of fluids to cause massive hydraulic fracturing. The extraction and use of Shale gas has the potential to have negative affects on the environment through the leaking of the fracturing compounds and waste into ground water supplies, the leaking of greenhouse gases and pollution caused by the improper processing of this natural gas. As threatening as this sounds, there are indications that the Shale oil industry is far worse. It is acknowledged that Queensland has by far the largest oil shale reserves in Australia but that alone is insufficient justification to access this resource. The Government accepts the criticism about the energy intensiveness but adds ‘at the end of the day we are running out of oil’. Without question shale oil is the ‘dirtiest’ form of extraction around – more polluting than brown coal and coal seam gas. The Government has promised strict environmental controls but yet such guidelines are not available for public scrutiny. 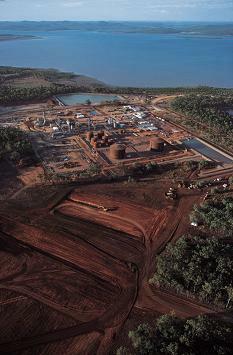 The Australian Conservation Foundation stated shale oil was a “1980s’ energy solution. At this time Wildlife Queensland shares that view and will be monitoring the situation closely. Wildlife Queensland is writing to Hon Andrew Cripps, Minister for Natural Resources and Mines, and the Premier expressing our concerns. Should you share similar views you are encouraged to do the same.